that, but the author did not. if a field becomes a science by promise and proclamation rather than demonstration. being shouted down or anathematized? Why the tendency to splits and cults? method: naturalistic observation illuminated by, at best, a brilliant observer. wrong. (This must be one reason why most public figures fear and hate most reporters. scholars operate from a different meaning of ‘evidence’ than is fitting for a scientist. control if uncertainty exists’ (my italics except ‘is’). Can an accurate report of an analytic treatment be presented? Of course not. Let us review some obstacles to adequate psychotherapeutic training. Obviously, psychiatrists need extended medical training. For those who follow up with additional analytic or psychotherapy training, however, the road is more than arduous. Psychologists and social workers who follow up their education with such additional training also have an arduous road. than it should and could be. too often view patients as so many biologic-psychologic-sociologic fragmentations. feeling tone for the anxious physio-psycho-social being that is the individual patient. individual patient is a threat to meaningful progress in the mental health sciences. niches in the organizational structure. administrators and fund raisers rather than for proven worth as clinicians and teachers. that go into the making of an expert clinician. The inadequacies of full-time, tenured clinical faculty are often striking. diagnosis and treatment that only intense contact with patients can develop. adaptive problems that await the discharged hospital patient is woefully inadequate. So far in this chapter we have merely touched on a few areas demonstrating the sorry state of psychotherapy. In our companion volume we spend a few hundred pages for the same purpose, focusing on many more sore spots. Our goal should be to ensure that psychotherapy is conducted by professionals who have the necessary talent and who have been able to acquire the necessary expertise. The trend of the last few decades has been to move further and further from that goal. One can read a hundred pages in books and journals and not find one line that proves to us that the author is qualified. Instead, the literature abounds with writings that are full of theoretical assumptions and abstract concepts and with writings that claim to be scientific studies, complete with graphs and tables to impress us but lacking the necessary solid premises. In both kinds of writing the experienced clinician, a breed that is becoming rarer and rarer, has no difficulty finding the inherent fallacies. It has never been easy to acquire clinical expertise; it never came on a silver platter. But, today, it has become extremely hard to acquire and many therapists do not even realize that such knowledge ever existed. The ever-growing quantity of psychotherapeutic writings notwithstanding, that knowledge may well disappear. In our companion volume we examine many authors whose theorizing or methods lack merit but who are much acclaimed by therapists and in academia. How can we extricate ourselves from the quagmire? It will not be easy. The system is self-perpetuating. Wallerstein, in his first chapter in this book, describes a small aspect of it. The other aspects are equally dismal. As a first step we need to define the areas of the psychotherapeutic endeavor that must be strengthened and those that we must try to eradicate. For that purpose I will separate the areas of psychotherapeutic writing and teaching into three dimensions. constantly revises the hypotheses for each individual as new material appears during the course of treatment. As explained in detail in our companion volume, he should also, in his communications to the patient, stay as close as possible to the language used by the unconscious itself by referring to the feelings expressed and the images manifested in dreams. While all that sounds simple, few therapists have the talent and the knowledge to operate properly within this dimension. One of the psychotherapists I consider most knowledgeable has spent 13 years in psychoanalysis and psychotherapy with several therapists and some 20 years in various forms of supervision. It will take people like that, imbued with a driving thirst for knowledge and guided by a definite talent, to bring psychotherapy back to its essence. In Dimension II we find the root of all evil. It is the area in which most professionals, teachers and writers in our field mainly operate. Even though they may claim that their thinking and activities are based on clinical realities or scientific exploration, there is actually little overlap with Dimension I, the dimension of clinical expertise. the use of readily available precepts, theoretical references to dictums by ‘authorities’ (often Freud) and other devices showing lack of independent thinking (the indiscriminate and routine use of cliche analytic interpretations of dream symbols, with disregard for the psyche of the particular patient, is a simple example). All those practices severely damage patient care, whether carried out in the name of psychoanalysis, psychotherapy, psychology or science. Despite the academic and ‘scientific’ language, general theorizing is easy—it applies to all. It can be engaged in by people with little or no psychotherapeutic expertise. Actually, many of the academic writings in our field are by professionals with little or no competence who make innumerable references to other writers of little or no competence. Much of the time the concepts employed are distant from clinical facts and demonstrate a lack of psychological and clinical acumen. Their abstractness permits endless discussion. Because they remain in the abstract realm, proof and disproof are impossible. We are facing a situation where a great number of ‘professionals’ who never properly learned even the fundamentals of psychotherapy, and who do not understand its essence, have usurped roles as experts, teachers and leaders. Those shortcomings necessarily affect the quality of the theories presented to us. For the theories advanced to be valid, the psychological structure and dynamics of the human psyche, and, consequently, all forms of emotional illness, would have to be far more uniform than they are. Stoller cogently remarked that many of the theories that are taken seriously are actually based on poor observation or are merely the product of näive and pretentious speculation. 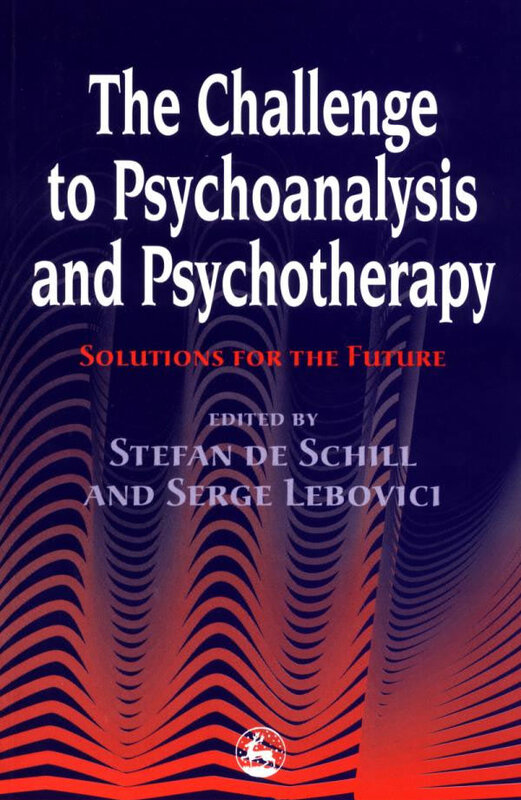 Moreover, as also discussed in our companion volume, few of those who boldly make generalizations about psychoanalysis actually have enough psychoanalytic patients to back them up. For instance, how can one discuss regression when the number of weekly sessions is so limited that it cannot even be brought about? Gedo, among others, remarks on the paucity of cases where psychoanalysis is actually performed. Of the many who write about psychoanalysis, surprisingly few actually practise it. According to the best available information, and not counting training analysis, the figure is estimated to be around 5 per cent. We do invite theory. But it must evolve from the vast body of clinical psychotherapeutic experience and be formulated by expert clinicians. The fact is, however, that clinical talent is not common, clinical expertise is hard to come by and clinical work is difficult to perform. When, in this chapter, I inveigh against theoreticians, I am referring to the many who indulge in theorizing without having the necessary clinical expertise to build upon. When we allow course work rather than ability to be the deciding criterion, the result is negative selection among those who practise, write about and teach psychotherapy. We facilitate admission of the unsuitable. We are faced with psychotherapists who engage in full-time clinical practice but lack the necessary qualifications. While the latter cause regrettable damage to their patients, they are not the worst. The worst are those who cause massive disinformation through their important teaching positions and widely distributed writings. Thus there are many unfortunate therapists who, because of the present climate in our field and its poor educational possibilities, could never obtain the knowledge they were hoping for. They may not even know that such knowledge exists. In the words of the Bible, they asked for bread but we gave them stones. It took some thirteen centuries before a Vesalius dared to investigate the truth about the human anatomy. And only in 1992, 359 years later, did the Vatican admit that it was in error and that Galileo had been right. In spite of the ever-darkening shadows, let us hope that it will not take that long for psychotherapy to rid itself of the causes that underlie its problems and the consequent suffering of so many. The light at the end of the tunnel is not yet in sight. On the one hand a number of dogmas considered sacrosanct by the analytic profession are being discarded and on the other the ever-growing number of psychotherapists coming from the ranks of medicine, psychology and social work, but lacking adequate training, has contributed to the increasing shoddiness of psychotherapeutic instruction and wide acceptance of facile treatment methods. The result is that those less effective treatment methods have greatly limited the range of people who can be treated with success. Those who suffer from serious disturbances, such as phobias, deep anxiety and depression, are thrown to the wolves. Fortunately, some have found that their pains can be alleviated by drugs, which, however, do not change the underlying psychological problems, but there are still a great many who cannot obtain relief through medication. According to all available information, the number of psychodynamic therapists who are expert enough to treat the more serious cases successfully is decreasing to a disquieting extent. Lack of knowledge is being masked by scientific-sounding jargon which impresses many of the poorly informed. Even sadder, the trend to use such language is followed by some therapists who should know better and should resist such pretense. The scholarly language we encounter is so far removed from the language used by the unconscious that it is utterly inadequate to describe the structure and operation of the unconscious. Such a delicate and sensitive subject requires of the writer the utmost clarity and precision. As we amply show in our companion volume, ‘scientific’ language lends itself admirably to obfuscation while making the hollow sound important.